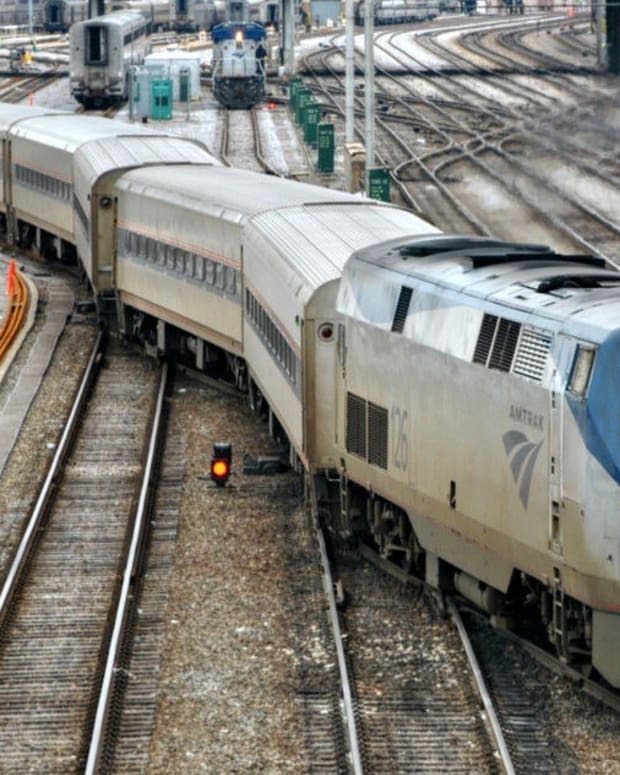 An Amtrak passenger train derailed during an inaugural ride along a new route in Washington state. 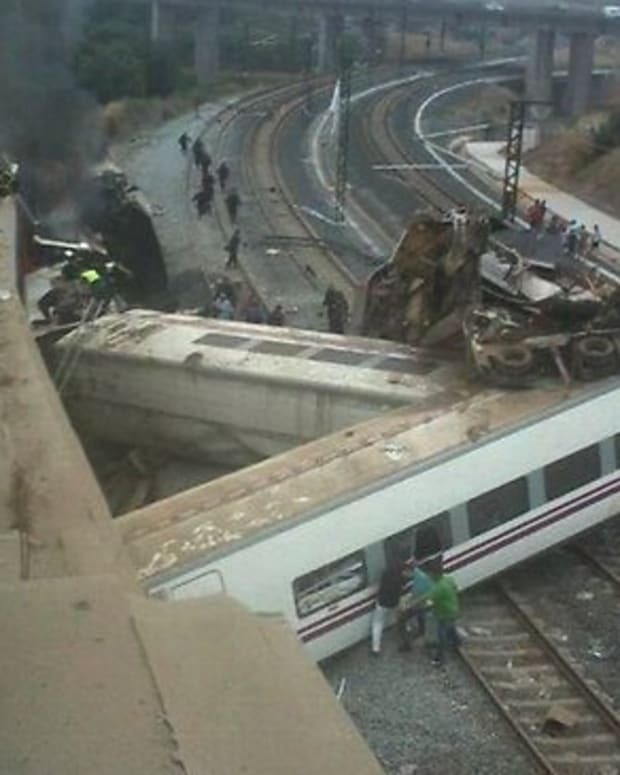 The crash resulted in multiple fatalities. First responders were working to rush passengers and bystanders to area hospitals. 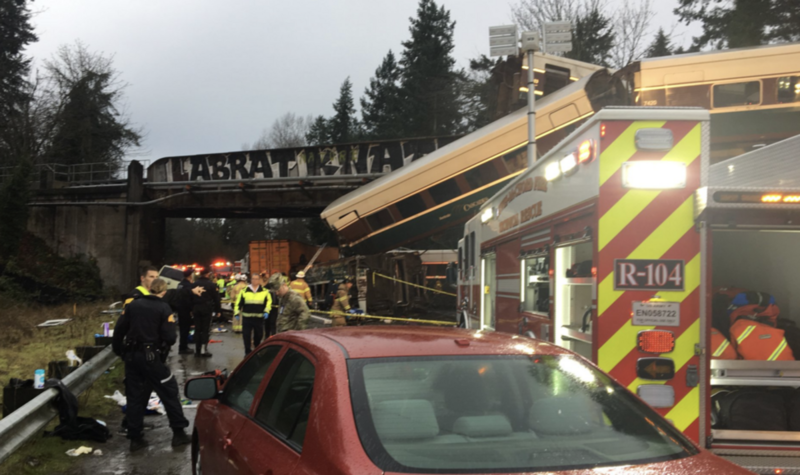 On Dec. 18, an Amtrak train with 77 passengers and five crew members careened off track and fell onto a highway overpass 20 miles south of Tacoma, Washington. The crash prompted a pileup of vehicles along the highway. 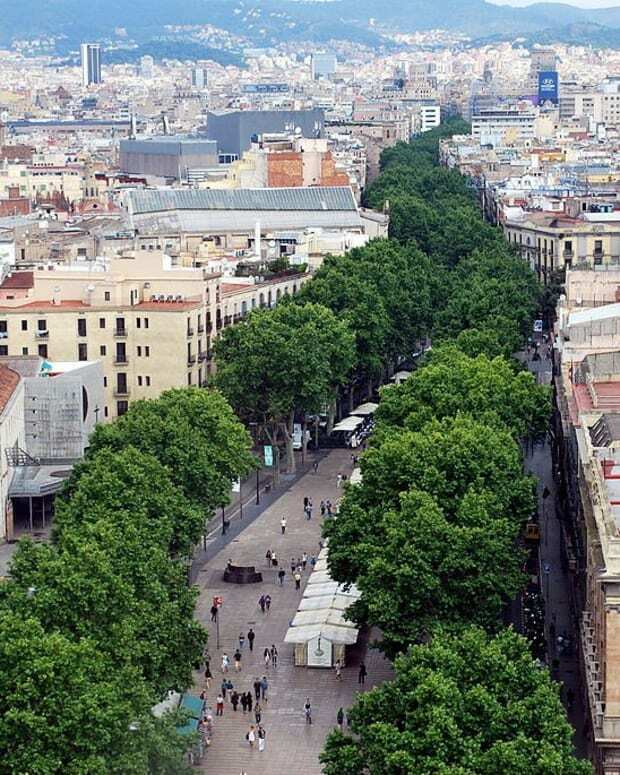 At least six people are believed to be dead. The train was transporting passengers from Seattle to Tacoma. Chris Karnes, a passenger, said the train was traveling up to 80 mph when it mysteriously derailed. "We had just passed the city of DuPont and maybe two or three minutes after that and we felt a little bit of wobbling and then the next thing that we knew we were being catapulted into the seats in front of us and we could hear the train derailing and metal crunching," Chris Karnes told KOMO. "There were people screaming -- everything was dark. 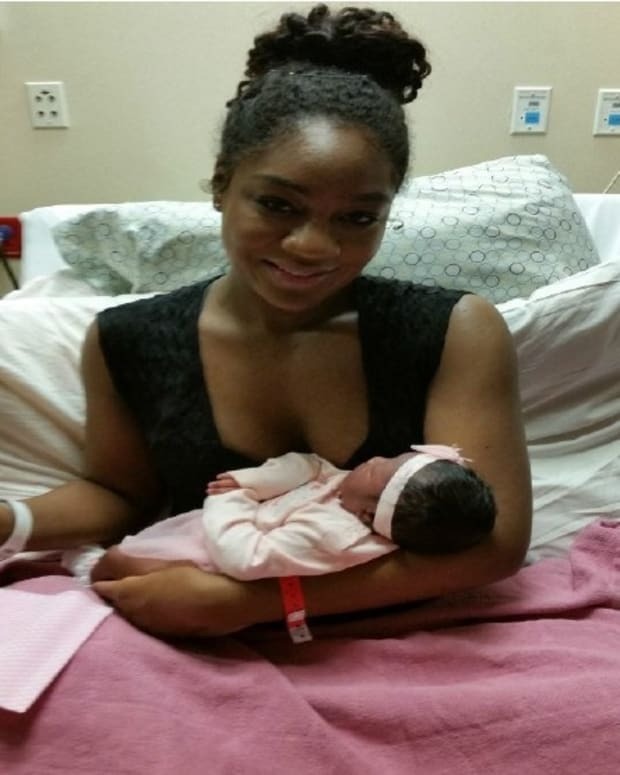 We had to kick out the window in order to get off the train," Karnes added. Rescue workers swiftly responded to the scene, where they found multiple passengers dead. 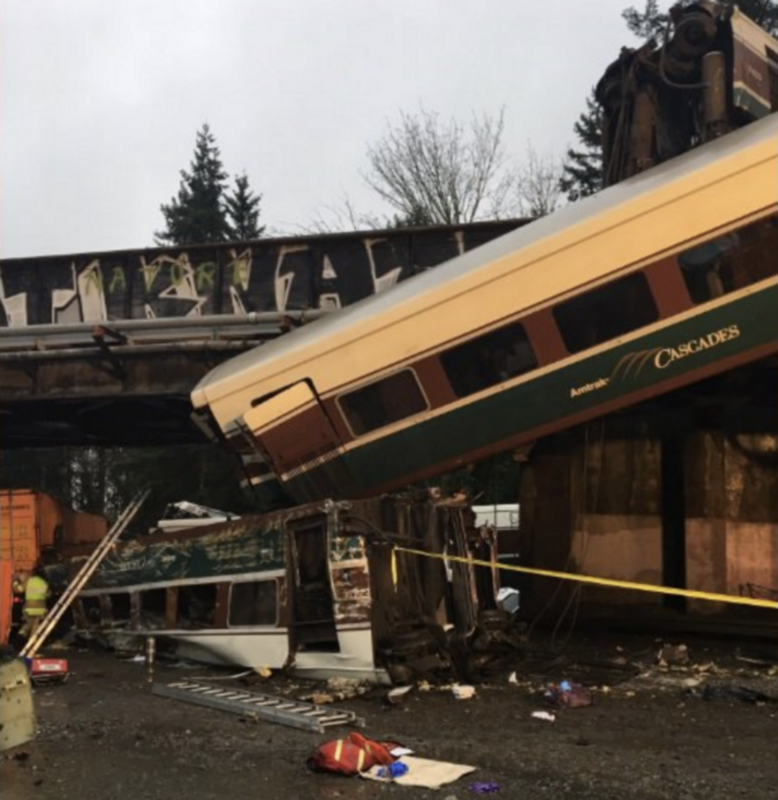 "When we got to the scene it was obvious that there were some fatalities and there were a lot of injuries and some people were able to get off the train," Detective Ed Troyer of the Pierce County Sheriff&apos;s Department said, according to NBC News. "Multiple cars and trucks were struck by train cars that left the train tracks and went down onto the road." 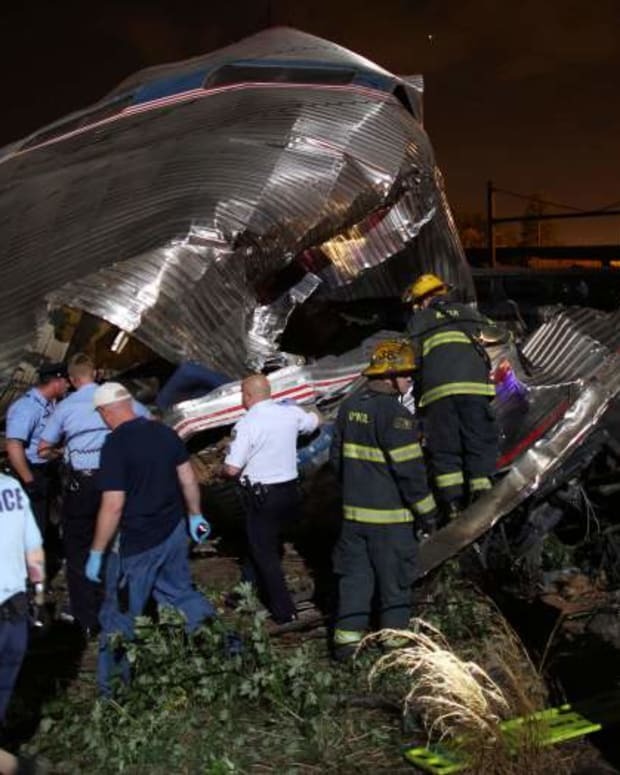 Troyer added that the none of the motorists hit by the train were killed, stating "The fatals are all contained to the train." Roughly 77 people were taken to local hospitals, with four reported to be in serious condition. 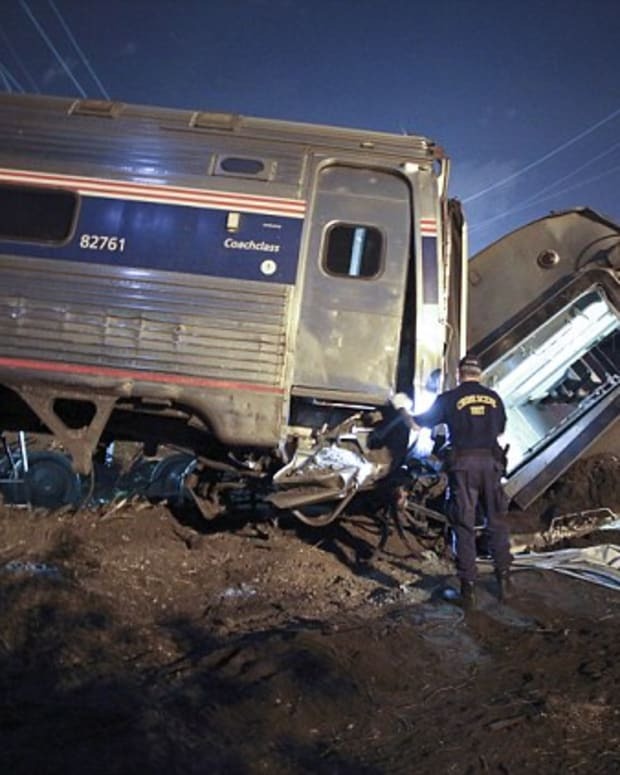 It remains unclear how the train derailed or if it struck any objects along its route, according to CNN. The Amtrak train was running its first trip along a new route that crossed through the town of Lakewood. 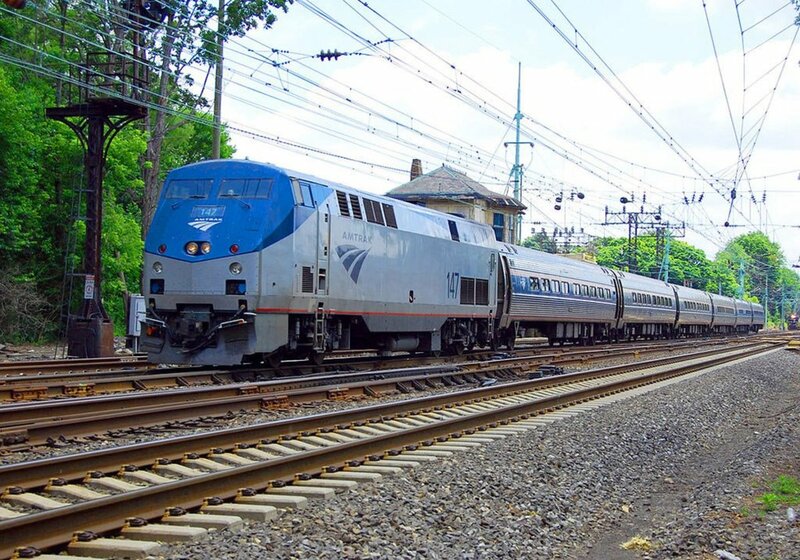 Local officials had expressed concern about allowing high-speed trains to race along highways in their town. On Dec. 4, Mayor Don Anderson predicted that the route change would result in a disaster if the tracks were not upgraded for safety. "Come back when there is that accident, and try to justify not putting in those safety enhancements, or you can go back now and advocate for the money to do it, because this project was never needed and endangers our citizens," Anderson told KOMO. President Donald Trump took to social media to address the accident. "My thoughts and prayers with everyone involved in the train accident in DuPont, Washington," Trump tweeted. "Thank you to all of our wonderful First Responders who are on the scene. We are currently monitoring here at the White House."